And it's all designed to drive traffic to the top of your sales funnel, which is your website. If you're doing all of these things, you're doing the right things. But the question is, are you doing them right—do you have SMART goals in place? 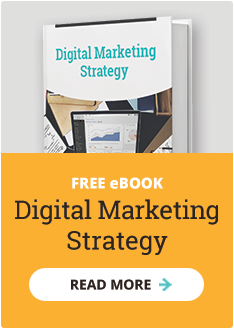 By now you are probably wondering what SMART goals have to do with your software marketing strategy, and more specifically your inbound marketing efforts. The answer has everything to do with focusing your efforts on the things that are most likely to lead to success (website traffic and leads), knowing with precision what's working and what isn't working, and being able to quickly change directions to maximize your efforts. Website traffic. Because you need website traffic in order to convert visitors to leads to customers, you need to set ambitious and aggressive goals in this area. For example, your goal could be to increase visits to your website by 3,000 per month for a year. 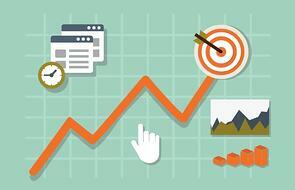 Setting a specific goal for website visits will inform all of your other inbound marketing tactics. Social media impressions. Your company's social media reach is important because it represents the potential size of the audience that could be targeted by your inbound marketing efforts. Setting a specific goal for social media impressions—such as increasing LinkedIn followers by 200 per quarter—can significantly improve the quality of your database. Lead generation. Once you've increased the number of website visitors, it's time to turn them into leads. This means they have opted-in to your email marketing, downloaded a whitepaper, or subscribed to your blog. If your SMART goal for website traffic is to increase it by 3,000 visits each month, your lead generation goal could be to turn 10 percent of those visitors into leads. Lead conversion rate. Now it's time to get serious about selling software as a service or innovative solution. It's time to talk about conversions. If you aren't working toward aggressive conversion goals, you're likely not going to be able to grow, no matter how hard you work your software marketing strategy. So set a specific (and aggressive) SMART goal for lead conversions—and then go after it. If you want to know more about getting SMART when it comes to increasing website traffic, lead generation, conversions and sales, connect with the experts at the Spot On Agency.